Airport capacity in London is currently underused, with some of London's airports having more than half their runway slots free, says a new London Assembly report. Even Heathrow – at 99 per cent runway capacity – might potentially fly an additional 20 million passengers every year if larger aircraft were used. The Transport Committee’s report – Airport Capacity in London – suggests existing airport capacity in London, including at busier Heathrow and Gatwick airports, could be used more effectively. The London Assembly today made clear its continuing unanimous opposition to the construction of a third runway at Heathrow Airport. Following recent reports that the prospect of an expanded Heathrow could be revived, Assembly Members backed a motion urging Mayor of London Boris Johnson to join the Assembly in lobbying London MPs to oppose a third runway and to work with government to find alternative solutions to airport capacity issues in London and the South East. “In 2010 the Government was right to axe plans for a third Heathrow Runway and the same arguments against expansion still hold good today. Caroline spent a morning in Richmond town center, and at Kew station, on Easter Saturday getting signatures against a third runway at Heathrow and talking to local residents about transport tissues with Munira Wilson our local candidate and Brian Paddick, as well as other local activists such as Robin Meltzer, Shas Sheehan and Cllr Stephen Knight. 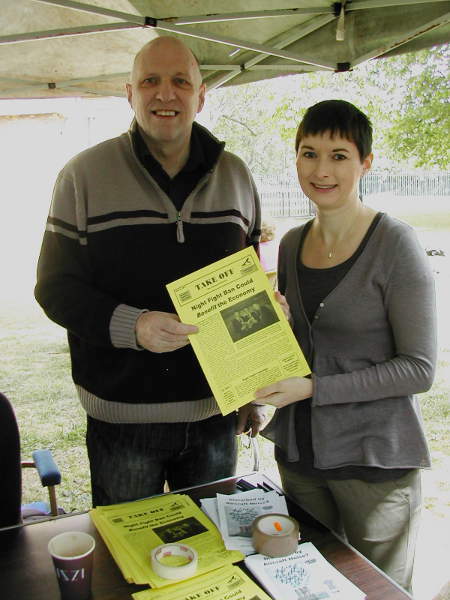 Caroline met up with John Stewart and the team from HACAN (Heathrow Association for the Control of Aircraft Noise) at their stall in the Oval Farmers’ Market on Saturday. Caroline chatted with John about the night flight concerns and the impact it has on a wide area including Vauxhall and Camberwell. 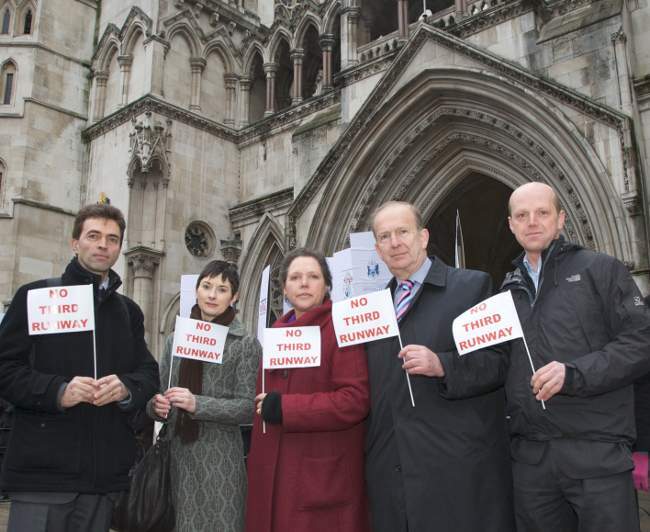 Caroline Pidgeon has backed a High Court action launched by local authorities, green groups and residents' groups, challenging the government's decision to approve a third runway and sixth terminal at Heathrow Airport. 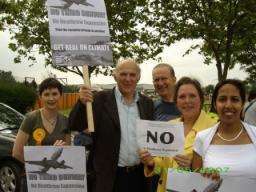 The coalition’s lawyers will be claiming in court that the consultation process was fundamentally flawed, that the decision to expand Heathrow is at odds with the UK’s overall climate change targets, and that the number of measures introduced to pass the plans through Parliament mean the expansion is fundamentally different to the proposals on which the Government consulted the public in 2007. The Transport Department’s lawyers are now claiming the new measures were not part of the decision to expand Heathrow. If the coalition wins, the decision to proceed with the runway may be overturned. The London Assembly today sent a clear message that they are totally opposed to any attempt to allow night flights during the 2012 Olympic Games or at any other time. A unanimously agreed motion urged Mayor Boris Johnson to write jointly with the Chair of the London Assembly to the Secretary of State for Transport and his relevant counterparts in the opposition parties to express their concerns. Caroline Pidgeon AM, who amended the motion, said: "Many more Londoners than you might expect are affected by night flights. For example recent research from HACAN suggests that half of the top 12 boroughs affected by night noise are in east or south London. Do the views of Londoners mean nothing to the Government? ”The decision by Ministers to go ahead with the third runway at Heathrow is a huge insult to Londoners. Read more about Do the views of Londoners mean nothing to the Government? 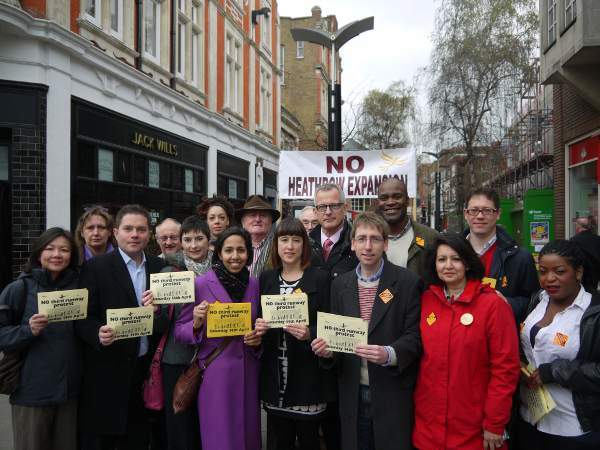 Caroline Pidgeon, Lib Dem Transport Spokesperson on the London Assembly, has spelled out the Liberal Democrats' opposition to a third runway at Heathrow, in an article on LondonUnlocked.org. 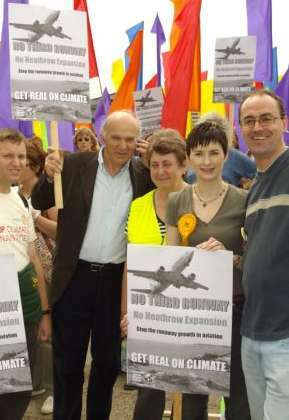 Caroline Pidgeon, Liberal Democrat Transport spokesperson on the London Assembly, joined local MPs Susan Kramer and Vince Cable, Liberal Democrat council leaders from across London, and thousands of other campaigners at a protest rally in West London against the planned expansion at Heathrow airport.